Welcome to the official BBC for Schools, Knowledge and Learning site. Fun, games and activities for kids with all your favourite Cbeebies characters. Welcome to the official CiTV home of Children’s ITV. Play CiTV games, watch videos, win prizes & find all your favourite shows on CiTV. 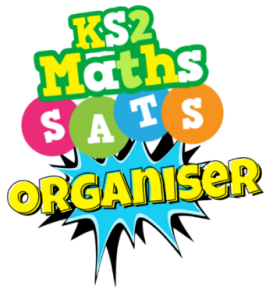 Click on the icon below for a fantastic collection of resources to support you in preparation for SATs. In order to access the document you will need a password which will be given to you at school. Making maths fun. Free interactive maths games resources for use in school or for homework. Myths and Legends is a website for pupils, teachers and all those who enjoy stories and storytelling. The British Isles is rich in myths, folktales and legends. Almost every town, city and village in Britain has its own special story, be it a Celtic legend, Dark Age mystery, strange happening or fable. The UK’s best wildlife resources and nature club for kids. Active, ground-breaking and fun, it has hundreds of free downloads from spotter sheets and collecting bags, to puzzles, craft and games. This is the english section of the Poisson Rouge educational games website. Online space where children and teachers can enjoy their creative experiences anywhere and at any time. Purple Mash has many creative tools and curriculum focussed activities. This independent UK educational website offers free educational resources whilst providing a safe environment for children to use the world wide web effectively for learning. Lots of fun, games and activities that will for kids of all ages. Maths fun learning number bonds, halving, doubling and times tables.